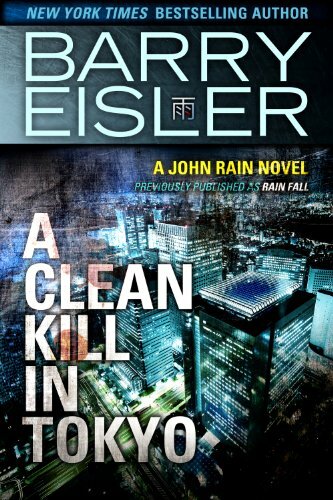 Barry Eisler is the author of the popular John Rain series featuring a Japanese-American international assassin. He has written 10 books in his John Rain series, 4 books in the Ben Treven series (one book is also part of John Rain), 3 books in his new Livia Stone series, several short stories and several essays. Here are all the Barry Eisler books in reading order. The publication order is slightly different, in that A Clean Kill in Tokyo is first, which makes Graveyard of Memories book #8 and Zero Sum book #9 published. Below are the Barry Eisler books in reading order for his main three series, with the John Rain series listed both in publication order and chronological order. Born in the US in 1964, Barry Eisler (website) graduated from Cornell Law school in 1989. He started working for the CIA right after graduation, where he spent time for three years in with Directorate of Operations before leaving the agency to pursue other interests. Next, he worked as a startup executive and technology lawyer in Silicon Valley and then moved to Japan, where earned his black belt at the Kodokan international judo Center. In 1993, while in Japan, he had an idea for a first novel with two men following a third down a local street in Shibuya. The more he thought about that image that came to him out of nowhere, the more he realized that those men must be assassins who were chasing the third one to kill him. And the idea for his first book was born. Barry Eisler always wanted to write. While in college, he took writing courses, and while attending law school, he wrote a column for the school newspaper. Even as a kid, Barry would write short stories about vampires and werewolves. In high school, he took martial arts classes, a hobby which he kept at during his life. He also took karate, boxed and learned judo. All this fighting knowledge Barry Eisler would incorporate in fighting scenes in his John Rain books. He wrote his first novel, Rain Fall, in 2002, which was the start of his full-time writing career, and the first book in the John Rain series. His books have been so far translated into more than 20 languages all over the world, and they have won him the Barry Award and Gumshoe Award in the Best Thriller of the Year category. In 2011 the author Barry Eisler turned out a major monetary advancement from St. Martin’s Press of a half million dollar and turned to self-publish his next novel. This moment was pretty defining in the self-publishing industry, which was struggling quite a lot at this point. He also bought back the rights to his earlier novels and republished them with new titles under his own publishing name, basically becoming an indie author. 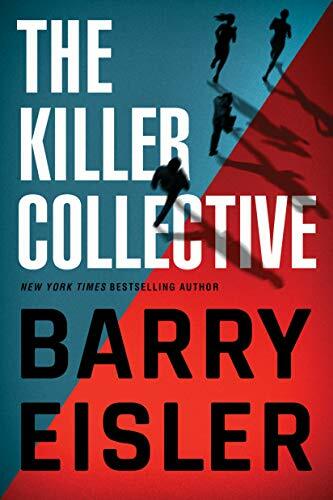 His latest book in the John Rain series is The Killer Collective, published in 2019, a book which is also part of the other Barry Eisler series, Livia Lone and Ben Treven, as it merges all three series in one with the main protagonists working together here. His John Rain books are being made into a motion picture, featuring Keanu Reeves (I think he is perfect for this role!). In his books, Barry Eisler poured a lot of his knowledge acquired from working with the CIA. Surveillance, counter-surveillance, black-ops, mystery, and spies were all part of his learning in his previous life when he worked at the National Clandestine Service, and they all feature in his John Rain novels. To keep up to date with his research for his books and to keep his skills sharp, the author Barry Eisler has been taking various courses over the years, including a grid-down survival course and a scape-and-evasion course. John Rain is a guy raised in two countries, the US and Japan, but who is not really acceptable in any of them. He is a “half-breed” who doesn’t feel like home in either of those countries. He is now a grown-up cynic who took his time in accepting himself for who he is.